S3 Round 1 Playoff Preview — A deep-dive on the round 1 matchup between the Nashville Predators and the Dallas Stars: a look back at regular season outcomes, head-to-head statistics, and a look at the Stars roster. 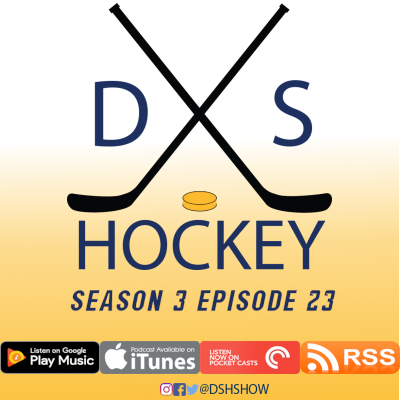 S3 Episode #25 – David and Nathan bring you the final Central Division update of the season with the Predators on top! They then quickly recap an magical run against the Penguins, Blue Jackets, Sabres, Canucks, and Blackhawks– The Preds find ‘it’. A look back at points leaders, team stats for the past three seasons, then the schedule for the first four games versus the Dallas Stars! S3 Episode #23 – JC and Nathan are back with a look at tight race for the Central, a fantastic week of games in The Predator’s Week in Review with games versus the Kings, Sharks, and a sweep of the Maple Leafs. We talk Winter Classic, and playoff readiness. Finally, a look at games against the Jets, Wild, and Penguins in the Week Ahead. S3 Episode #22 – Bro-sode #2 with David & Mark: First a look at the logjam in the NHL Central, The Predator’s Week in Review with games against the Hurricanes and Ducks. The brothers discuss the lines, and playoff possibilities. Finally, a look at games versus the Kings, Sharks, and Maple Leafs in the Week Ahead. 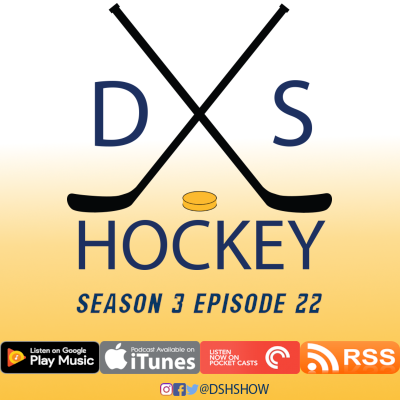 S3 Episode #21 – It’s a Bro-sode with David & Mark: First an updated look at the NHL Central Division standings, The Predator’s Week in Review with games against the Jets, and the Slohansen games versus the Wild (Alternate Preds). Then a discussion about Kyle Turris, and high-sticking penalties. Then, a look at games versus the Hurricanes and Ducks in the Week Ahead. S3 Episode #20 – David and JC are here with your NHL Central Division standings, The Predator’s Week in Review with games against the Kings, Avalanche, Oilers, and Blues. The guys discuss a rough week of games, and then bring you up to speed on trade deadline moves by GMDP. Finally, in the Week Ahead a look at games against the Jets, and a twofer versus the Minnesota Predators Wild. S3 Episode #19 – David, Nathan and JC bring you the latest Central Division standings, The Predator’s Week in Review with games against the Canadiens, Golden Knights, and Stars. Then the guys give you their best guesstimates on trade-deadline moves. Finally, in the Predator’s Week Ahead, previews of games versus the Kings, Avalanche, Oilers, and Blues. S3 Episode #18 – Mark and David are on the podcast with the Central Division Update, The Predator’s Week in Review with games against the Stars, Blues, Blues, and Red Wings. David finds his soapbox: Ryan Johansen, Player Safety, and the changes to the 7th Man. The, a preview of games versus the Canadiens, Golden Knights, and Stars in the Pred’s Week Ahead. S3 Episode #17 – THE WHOLE GANG IS HERE bringing you the Central Division Update, The Predator’s Week in Review with games against the Panthers, Stars, and Coyotes. There’s a look at the new trades, and Nathan asks who and what you’d trade before the deadline. Finally, there’s a preview of games versus the Stars, Blues, and Red Wings. S3 Episode #16 – David, Mark, and JC bring you the Central Division Update, The Predator’s Week in Review with games versus the Jets, Panthers, Avalanche, and Golden Knights. The guys play Nostradamus, and hope that Kyle Turris comes off IR soon. Finally, a look forward to games against the Panthers, Stars, and Coyotes. S3 Episode #15 – David and Nathan bring you the Central Division Update, recap games against the Blue Jackets, Hurricanes, and Capitals in the Predator’s Week in Review. There’s yet another discussion about the power play, some talk about the trade deadline, and a look at Carolina’s gameday antics. Finally, a look forward to games against the Jets, Panthers, Avalanche, and Golden Knights. S3 Episode #14 – David, Mark, and JC bring you the Central Division Update, recap games versus the Red Wings, Canadiens, and Leafs the in the Predator’s Week in Review. The guys discuss moves the Preds could make the sure up a run for the cup. Finally, a look forward to games against the Blue Jackets, Hurricanes, and Capitals in the Predators Week Ahead. S3 Episode #13 – After the holiday break, Mark, Nathan, and JC bring you the Central Division Update, recap last year’s losing streak, and rebounding wins versus the Capitals and Flyers in the Predator’s Week in Review. The guys gush over Rocco Grimaldi, the ongoing injuries, and share their New Year’s Resolutions for the Predators. Finally, a look forward to games against the Red Wings, Canadiens, Leafs, Blackhawks, in the Predators Week Ahead. S3 Episode #12 -On this episode, David, Nathan, and JC bring you the Central Division Update, recap the Canucks overtime thriller, the shootout win against the Devils, the overtime dud in Ottawa, and the game against the Blackhawks on the Predator’s Week in Review. The guys also have a heated discussion about Preds road woes, then prepare you for a short week with games against the Flyers and Bruins. S3 Episode #11 -On this episode, David, Nathan, and Mark bring you the Central Division Update, a beatdown by the Canucks, Colton Sissons sweaty hands, and a nice give and go from Josi to Ellis on the Predator’s Week in Review. The guys also discuss Juuse Saros’s slump and prepare you for games against the Canucks, Devils, and Senators. S3 Episode #10 – David, “Insider” Mark and JC are on the podcast with updates on the NHL Central Division, the Predators Week in Review featuring games against the Coyotes, Blackhawks, and Sabres. Then the guys discuss all the injuries, how Milwaukee players have fared on the roster, and the 32nd NHL team coming to Seatle. Finally, the Week Ahead with games against the Canucks, Flames, and Senators. S3 Episode #9 – David, Mark and Nathan cant’ decided if it’s trade bait Fiala or Ellis. Once they settle down it’s NHL Central standings, The Predator’s week in Review coverage of games against the Blues, Ducks, and Avalanche. The guys discuss how the Preds are faring with the injuries. Finally the week ahead with games against the Coyotes, Blackhawks, and Sabres. S3 Episode #8 – A special Thanksgiving edition of the podcast where David, JC, and Nathan share what they’re thankful for about the Nashville Predators. The Predator’s Week in Review includes games versus the Coyotes, Kings, and Lightning, and the Look Ahead at games versus the Blues, Ducks, and Avalanche. S3 Episode #7 – David and JC are on the podcast with a look at the team, and their resolve 18 games into the season. They also bring you the latest NHL Central standings. In the Predator’s Week in Review the guys recap games versus the Avalanche, Stars, Ducks, and Sharks. In the Week Ahead, a look at games versus the Coyotes, Kings, Lightning, and Blues. 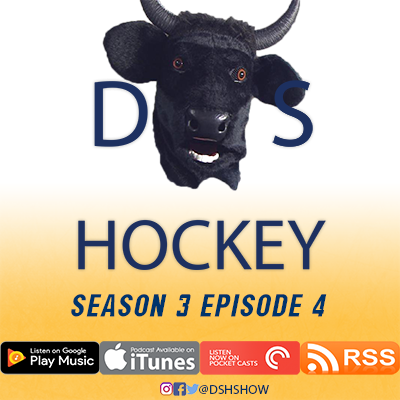 S3 Episode #6 – While JC and Nathan talk trash about them in an Uber, David, and Mark are back with episode six of the DSH podcast. There’s a Central Division standings update, the Predator’s Week in Review, updates on Pekka Rinne’s new contract, and finally a look at upcoming games versus the Stars, Ducks, and Sharks. S3 Episode #5 -David, Nathan and JC are on the podcast, Mark is out trick-or-treating. JC updates the Central Division Standings, the guys recap games versus the Devils, Oilers, Golden Knights in the Predator’s Week in Review, then celebrate the return of Pekka Rinne. Finally, in the week ahead there are previews of games versus the Lightning, Bruins, and Avalanche. S3 Episode #4.1 -How about an entire episode! David, Mark and JC are on the podcast while Nathan is out in search of Tolvanen updates. Mark is back with the Central Division Standings, and the guys give you recaps of the games versus the Flames, Oilers, and a dud against the Sharks. With Pekka’s injury we revisit the topic of goalies, discuss secondary scoring, and ask if Turris is on the trade block. Finally, preparation for games versus the Devils, Oilers, and Knights.